Worth an estimated £20m in the UK today, semi permanent eyebrows are big news right now. 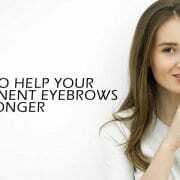 According to research company NPD, the average British woman spends around £200 a year on perfecting their arches, and with over half a million tutorials available on YouTube, it seems everyone is working on achieving brow perfection. 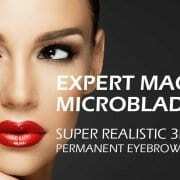 https://www.mw-aesthetics.co.uk/wp-content/uploads/layerslider/microblading-london/microblading-london.jpg 769 2000 Marek Waclawczyk https://www.mw-aesthetics.co.uk/wp-content/uploads/2018/10/MW-AESTHETICS-LOGO-2018d.png Marek Waclawczyk2018-02-21 12:18:482018-11-20 12:03:46Semi-permanent eyebrows: microblading or machine?